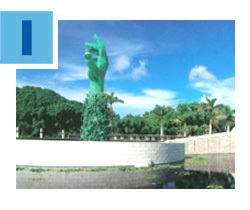 Join the Greater Miami Jewish Federation on April 23 – Yom HaShoah, Holocaust Remembrance Day – at the Holocaust Memorial Miami Beach to pay tribute to the six million Jews who died in the Holocaust and honor those who survived. The moving program will include traditional songs and prayers, along with remarks from survivors and dignitaries. The event will also unite the interfaith community to stand strong against anti-Semitism and hate. Click here for details. 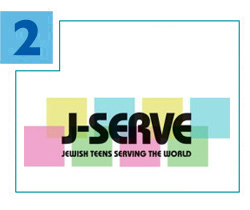 It’s almost time for J-Serve, the international day of service for Jewish teens! Federation’s Jewish Volunteer Center (JVC) is gathering local teens on Sunday, May 7 to help glean and pack fresh produce for people in need. The JVC acts as a clearinghouse for needs-driven, hands-on programming for volunteers of all ages throughout Miami-Dade County. Click here for more information or contact Lori Tabachnikoff at ltabachnikoff@gmjf.org or 786.866.8680. Click here for more volunteer opportunities. 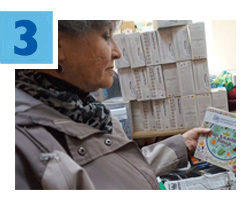 Prior to Passover this month, Jews in the former Soviet Union received more than 50,000 boxes of matzah, thanks to your donations to the Annual Federation/UJA Campaign. Volunteers from Federation’s overseas partner, the American Jewish Joint Distribution Committee (JDC), also delivered holiday packages with additional supplies and treats and visited homebound elderly as part of JDC’s annual Passover preparation. Plus, thousands of Jews gathered at JDC-supported Hesed social welfare centers to celebrate the holiday with traditional fare and festivities. How do YOU say Yerucham?! Although Miami’s Jewish community has partnered with the Israeli desert city of Yerucham since 2007, the correct pronunciation of the city’s name remains a mystery to many Miamians. Click here to watch this new video to see how the locals say it. The Miami-Yerucham Partnership encourages people-to-people relationships between residents of the two cities while promoting mutually supportive initiatives that benefit the spiritual, social, cultural and economic growth of both communities. The ties between Jewish teens in Miami and Yerucham were strengthened when the Yerucham Diller Teen Fellows spent a week exploring the Jewish community with their Miami counterparts. During the Mifgash (encounter), the Fellows learned about their similarities and differences as people, Jews and leaders. 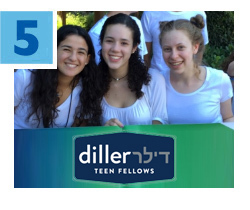 Miami Diller Teen Fellow Abby Levin said, “Overall, the Mifgash was an amazing experience, but by far, the best part was getting to know all of the teens from Yerucham and forming closer bonds with everyone in the Miami-Yerucham Partnership.” Click here to learn more about Diller Teen Fellows and to apply for Cohort 5 of Diller Miami (applications due May 15, 2017).